You’re a teacher with a less-than-ample salary but you still want cool stuff for the classroom? We don’t blame you! It is a truth universally acknowledged that a teacher in possession of a less-than-ample salary must still be in want of cool stuff for the classroom. Apologies to Jane Austen aside, there are few topics that can get teachers as impassioned as smart ways to spend less, save more and improve our finances. Read on for 20 ways teachers can increase their bottom line, provided with help from NEA Member Benefits and WeAreTeachers readers! 1. Claim your educator tax deductions. When you file your taxes this spring, don’t miss those educator tax deductions! There’s a $250 above-the-line deduction for classroom supplies (which means no need to itemize, holla! ), as well as a tuition and professional development deduction if you’ve been continuing your own education. Sure, we wish it were larger, but don’t leave money on the tax table. Learn more here. 2. Track your expenses to reduce monthly bills. 3. Build up an emergency fund. 4. Open a tax-sheltered annuity to increase retirement savings. 5. Choose credit cards wisely. It is easy to slide into credit card pitfalls—the plastic is just so enticing. When deciding to open a new card, pay major attention to the interest rate. Make sure you are aware of whether it has a fixed rate or variable rate; typically fixed-rate cards are a more stable choice in the end, even if variables seem low at the start to reel you in. If the rewards are reeling you in, ruthlessly consider which rewards you will really use. 6. Pay off debt one account at a time. If your credit card debt has piled up to more than you can easily pay each month, it is time to stop all credit card spending and start paying down the balances. Itemize your existing credit card debt and focus on one account at a time for the easiest strategy to reduce debt painlessly. In the meantime, use only your debit card. Here’s how to make it happen step-by-step. 7. Don’t be shy about mining your village. 8. Ask parents to help with classroom supplies. If you can, involve your students’ parents in supplementing classroom supplies before you supplement via your own wallet. At the beginning of the year when parents visit the classroom for open house and back-to-school nights, let them know which items you can use. And throughout the year, send home voluntary wish lists for items you’re low on in the classroom. You may be surprised by the level of parent participation when you make specific requests. Need more ideas? Here are six more teacher tips on stretching your supply budget. 9. Seek out grants and supply-donation programs. Time equals money, so take the time to apply for school-supply donation programs, as well as state and local union grants. Some programs our readers recommend are NEA Foundation grants, DonorsChoose.org and Kids in Need Foundation. 10. Ask local businesses for donations for the classroom. 12. Cut your grocery bill in half. No, you don’t have to become consumed by coupons or set up a room in your house to store 3,000 bottles of Worcestershire sauce. But there are easy strategies for reducing your grocery bill. Use these tactics to plan your grocery spending with as much care as you plan your lessons. 13. Don’t be afraid to negotiate when shopping. We all know that negotiation is important when buying a big item such as a car, but did you know that you can negotiate the price of practically anything? Check out these savvy tips for bringing the price down on everyday purchases. 14. Use those teacher discounts! Think beyond the craft-store bonus (besides, we’ve established that you’re cutting back on buying classroom extras, right?) and really pay attention to the discounts and rewards you can get when you shop through NEA Click and Save. NEA members can save big bucks every time you need new shoes, workout gear, toys, cosmetics, eyewear, event tickets and more! Plus, make sure you check out this ginormous list of educator-only discounts on classroom supplies, books and magazines, electronics, entertainment, travel, and much more. You’ll be surprised by how many places will give you a discount just for being a teacher! 15. Look for summer earnings. 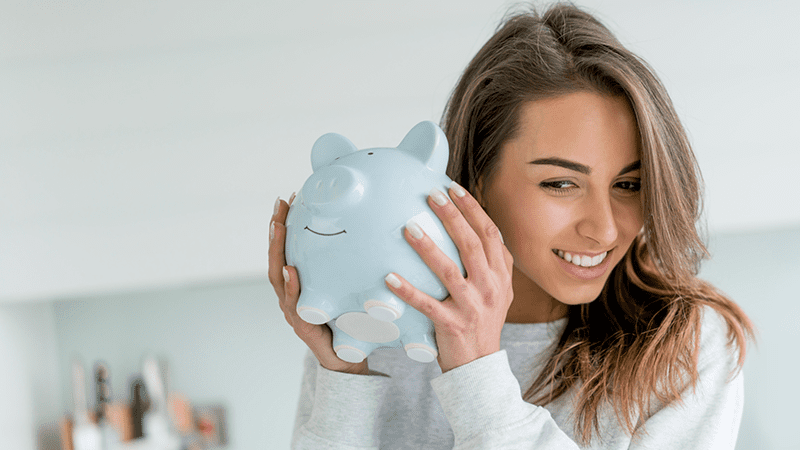 Finding a paid position for those two to three months of summer break can be an ideal way to get ahead of your finances and survive that summer paycheck. If you need a breather from the classroom, look beyond summer school for other places to land your perfect summer job. 16. Seek out tutoring opportunities. After-school and weekend tutoring can be surprisingly profitable, whether through your district’s homebound student program or via private programs. Teachers all over the country report making anywhere between $20 and $100 per hour through various tutoring jobs. Check with your district and local tutoring companies, and post your services within your community. Turn your passion into profit! If you’re already exercising your creativity, you might as well reap the possible financial rewards of a part-time business. If you’re an education blogger or classroom resource creator, sign up for Teachers Pay Teachers to offer your original lesson plans and craft guides for sale online. If you craft for pleasure, open an Etsy site to sell your art to others. 18. Check to see if you’re eligible for student loan reduction … or even forgiveness. Teachers are considered members of the public-service field, eligible for student loan repayment options. If you’ve been teaching full-time for five consecutive years in a low-income elementary or secondary school, or an educational service agency, you’re most likely eligible for getting as much as $17,500 of a subsidized or non-subsidized loan forgiven. Check all the circumstances that can result in teachers having their student loans reduced, forgiven or discharged. 19. Pursue National Board Certification. Investing in certification can reap benefits down the road, so you shouldn’t let the fees stand in your way. Use these tips to help cover your costs. 20. Get your advanced degree and you’ll increase your salary. The vast majority of school districts pay teachers with master’s degrees more than those with bachelor’s degrees, making it a smart long-term investment for many teachers. There are student loan options just for teachers that can help. What are YOUR best money-smart tips? Share in the comments, and find more financial advice tailored for teachers at NEA Member Benefits. These Schools Have Amazing CTE Programs. Here’s What We Can Learn From Them.